Below: the CL350K0 in candy red original paint. 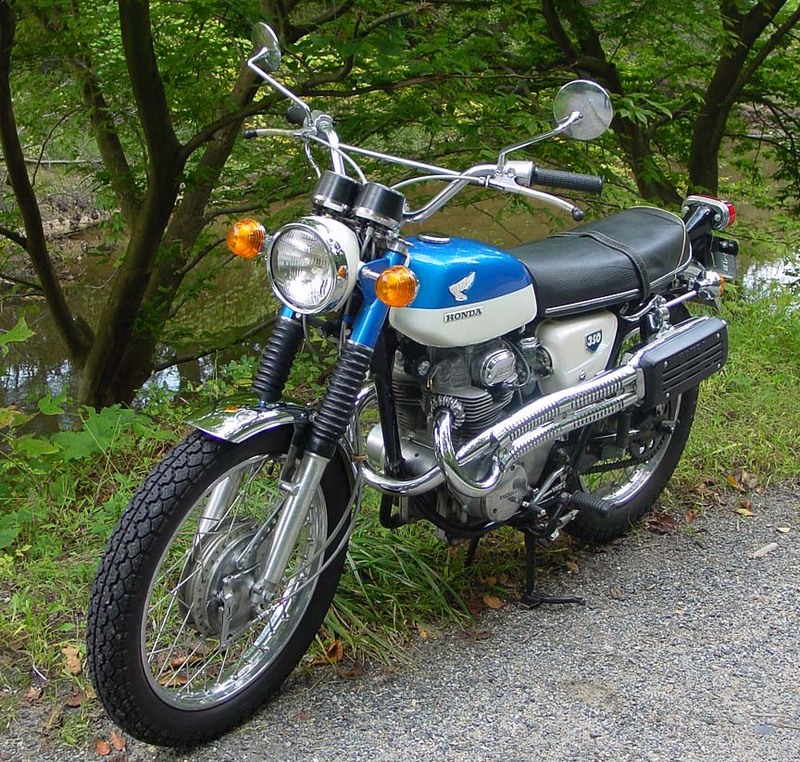 Below: the CL350K0 in candy blue original paint. Note the simply cut leading edge of the fender. 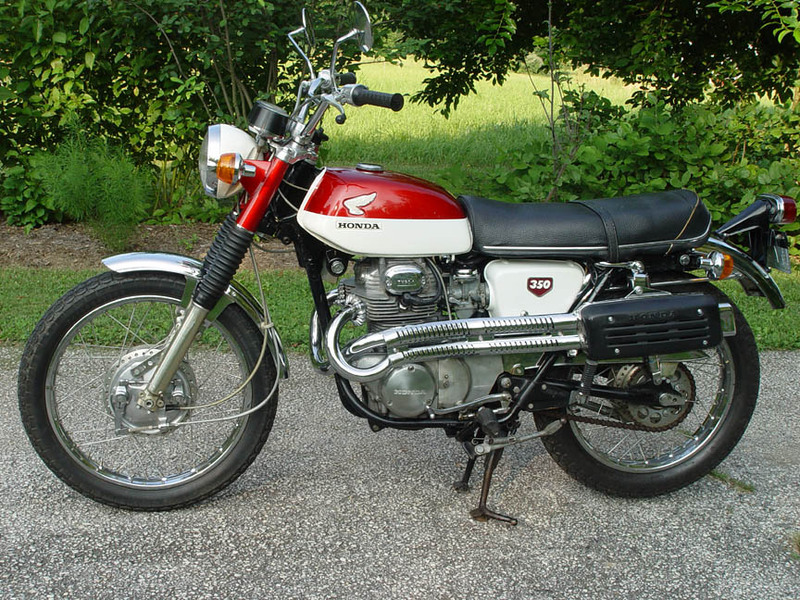 The CL350K0 was first offered in the USA in 1968 and sold into 1969, when it was superceded by the K1. This particular example was manufactured later in the K0 run, and titled in the USA as a 1969. Note the rubber cushioning below the instruments. Instruments on early-run K0's were bolted directly to the metal bracket, and were prone to vibration failures. Longer studs and rubber cushioning grommets were added later in the production run to remedy this problem. The cushioned instrument assembly was listed as a supercede for the K0 in Honda parts manuals by 1969, and was standard on the K1 model. The instruments are not interchangeable due to the different lengths of the mounting studs. 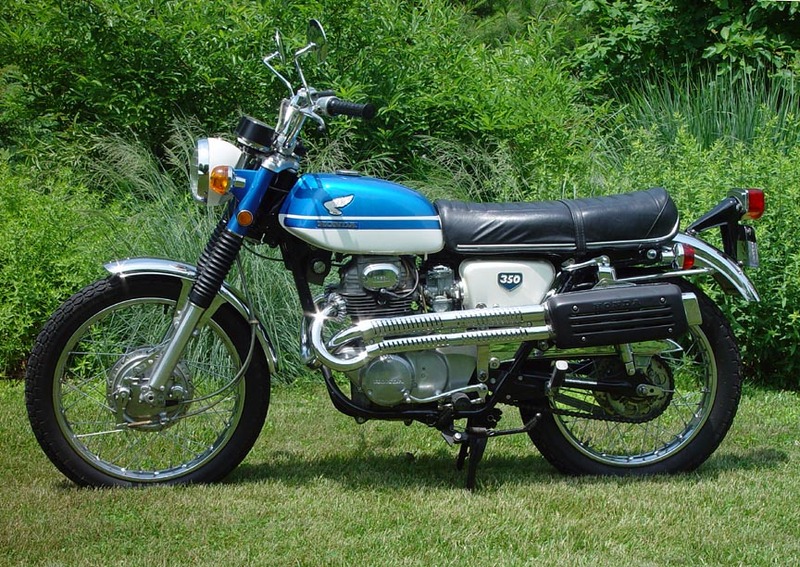 Below: The CL350K1 was introduced in 1969 in the USA. The added stripe on the tank is an obvious change. Although the profile of the tank is nearly identical, it is wider and the capacity is greater than the K0's paltry 2.4 gallons. Also new to the K1 is a smoother, more fully padded seat, a rectangular tail light, and side reflectors up front. This particular example, late in the production run, has reflectors mounted on the fork-top headlight brackets. Earlier K1's had a vertical reflector mounted directly on the front fender. The red rear tail lights on this example were commonly fitted in 1969, but not in all states. This example, sold new in Pennsylvania, has 670 original miles on it.